Berlin duo Aka Aka team up with local instrumentalist Thalstroem for some surefire tech house that represents the German capital rather well for their own imprint. There's vocal led, pop inflected grooves such as "Never Alone" and "Stars Aligned", the Kater Holzig vibes of "Warten Auf Korg" and gorgeous slow ballads like "Face" and "True" featuring Chasing Kurt. 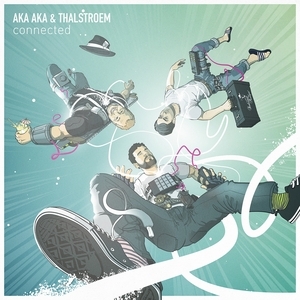 "Your Body" and "Wobbelbass" are more typical tech house sounds for sweaty dancefloors, assuring you they still have that stuff covered, these guys did start on Stil Vor Talent after all!